ELPLA (ELASTIC PLATE) is a program for analyzing raft foundations of arbitrary shape with the real subsoil model. The mathematical solution of the raft is based on the finite element method. The program can analyze different types of subsoil models, especially the three-dimensional Continuum model that considers any number of irregular layers. A good advantage of this program is the capability to handle the three analyses of flexible, elastic and rigid foundations. 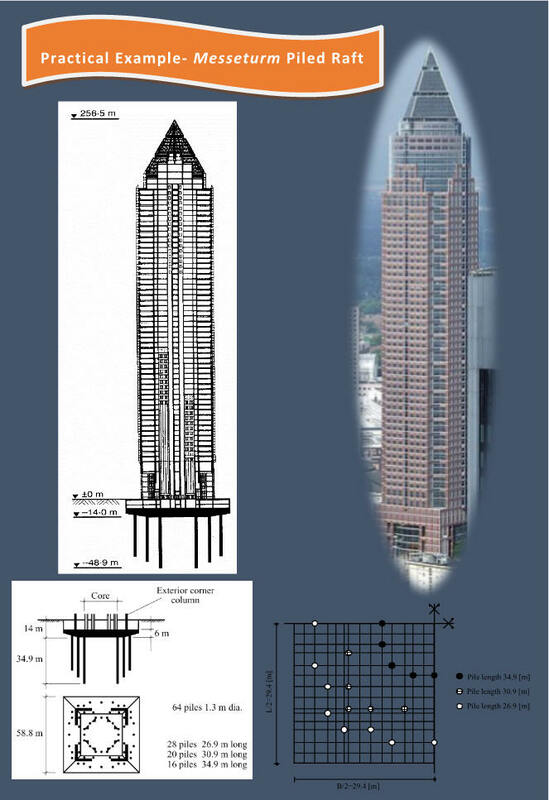 In addition, the mesh of the rigid and flexible foundations can be constructed to be analogous to the finite elements mesh of the elastic foundation. Therefore, the three analyses can be compared easily and correctly. ELPLA can also be used to represent the effect of external loads, neighboring foundations, tunneling and the influence of the temperature difference on the raft. ELPLA is a powerful tool for analyzing piled-raft foundations. ELPLA has models for analyzing single pile, pile groups, piled raft and friction piles in clay soil. 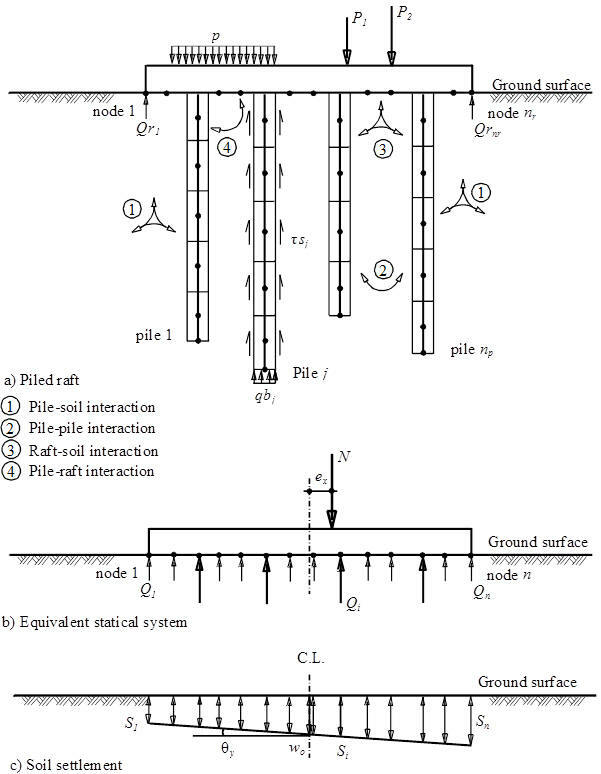 In ELPLA, there are different calculation methods to analysis of the raft on piles. Therefore, the pile group for each method are required to define according to the used soil model as described in the next paragraphs. In this model all forces acting on the raft will be transmit linearly on the piles. When the "Pile groups" command is chosen for this model, the following Table in Figure C-71 appears to define the pile diameter. Pile diameter is required for design of the slab for punching shear. For the two methods of Constant and Variable Modulus of Subgrade Reaction (methods 2 and 3), when the modulus of subgrade reaction is required to define by the user, pile groups in this case will be the pile diameter and the pile stiffness, Figure C-72. When pile groups are required to define for one of these two soil models, the following Dialog box of Figure C-73 appears. The soil data around and under the pile are required to define. Soil data are used to determine the pile stiffness due to the soil type by ELPLA. ELPLA is available in two editions, each geared to meet a specific set of user requirements. The features available to you depend on which product you have. ELPLA Lite edition allows users to easily create projects for analysis and design floor slab or raft foundation. It includes all the ELPLA standard functions except that the node number is limited to 300 nodes. Full documentation is provided with ELPLA Lite edition. Documentation provided with ELPLA includes the "ELPLA reinforced concrete design" book plus ELPLA User’s Guide containing full documentation of ELPLA theory with illustrated examples. The professional edition provides professional users with all methods for analysis and design floor slab, isolated raft or system of rafts. It includes all the features of the ELPLA theory. Beside the 9 main methods stated above, ELPLA can also be used to analyze system of flexible, elastic or rigid foundations. Further more, ELPLA can be used to analyze many other structural problems such as floor slabs, grids, plane frame and plane stress. It is possible to consider raft with any arbitrary shape including holes (Figure A-1). Also it is possible to consider raft with variable thickness (Figure A-2). Loads on the raft can be applied independently on the mesh at any position. Loads may be defined in different types such as point loads, line loads and polygon uniform loads (Figure A-3). It is possible to define elastic or fixed rotations and displacements on the raft (Figure A-4). Also transitional or rotational springs may be defined. It is possible to draw soil layers by different symbols according to the German Standard DIN 4023 for easy identification. Also the limit depth of soil layers can be determined. Variable foundation levels can be considered in the analysis. You can display, plot and print data and results graphically using the sub program ELPLA-Graphic. It is possible to draw raft geometry, boring locations, soil profiles, loading, boundary conditions, settlement, deformation, contact pressure, moment, shear, modulus of subgrade reaction and reinforcement (Figure A-8 to Figure A-14). The graphical drawing, if desired, can be saved as WMF-Files format. In which can be exported into other Windows applications to prepare reports, slide presentations, or add further information to the drawing. Also, drawing sections, if desired, can be saved as WMF-Format files. In which can be exported to other Windows applications such as Word, WordPerfect and AutoCAD to prepare reports, slide presentations, or add further information. The listed results and data, if desired, can be saved as ASCII-format Files. In which can be exported to other Windows applications to prepare reports or add further information. Figure B-2 Menu "Bearing capacity factors"
New separate program ELPLA-Boring is developed. By the program, the user can define boring logs graphically and draw limit depths (Figure B-94). The Self-Adaptive Mesh Wizard is a tool that helps the user for generating finite element mesh with better element/ node distributions. The wizard is used to regenerate the finite element mesh for slab floor and raft problems. The new mesh will be generated based on the strain energy distribution. The self-adaptive technique used in this wizard reduces general system error besides enhances stress distributions. Adaptive mesh is generated either by using Delaunay generation or by using Grid-based generation (Figure 1). Beside the following tutorial and verification examples, ELPLA solves different civil engineering problems. - Analysis and design of rafts. - Analysis of rigid rafts. - Analysis of flexible foundations. - Analysis and design of floor slabs. - Determining the consolidation settlements. - Analysis and design of pile caps. - Determining forces on piles due to structure loads. 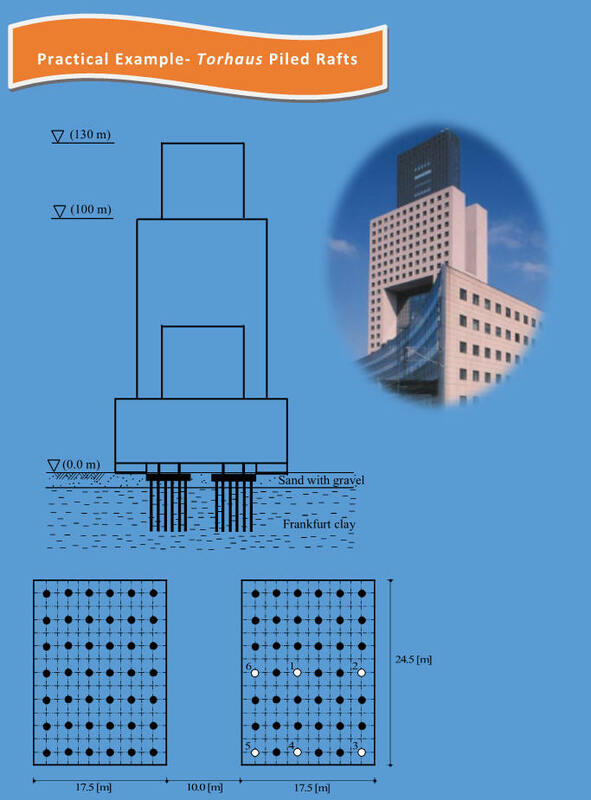 - Settlement calculation of surface foundations. - Determining the settlement due to surcharge fills or surcharge concentrated loads. - Determining the surface settlement around rafts. - Determining the constant or variable modulus of subgrade reaction. - Effect of external loads or neighboring foundations. - Effect of temperature difference. - Analysis of system of flexible, elastic or rigid foundations. - Analysis of beams or grids by FE method. - Simulation of excavations and construction of embankments. - Determining the ultimate bearing capacity of the soil. - Determining the limit depth. - Eliminating negative contact pressure. - Design of slabs according to ACI, EC 2, DIN 1045 and ECP codes. - Determining the stress in soil. The new English-language versions of GEOTEC Office applications with Multilingual User Interface (MUI) are now available. The Multilingual User Interface Pack is a set of language XML resource files that can be added to the English version of GEOTEC Office applications. MUI Pack allows the user interface language to be changed according to the preferences of individual users to one of the available supported languages. MUI Pack provides a single version of GEOTEC Office applications to which users can add one or more MUI Packs providing localized user interface and help files. Now, three languages are already available in ELPLA 9.1; English, German and Arabic. 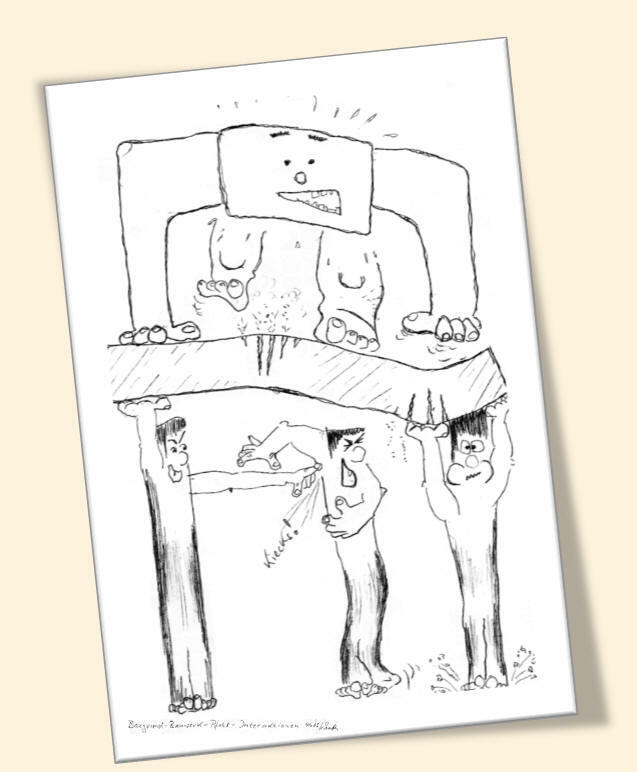 - Languages are XML based resources that make it easier to users to add their own languages. The analysis of Two-Dimensional frame problems is now available in ELPLA. It is possible to design the floor slab or raft foundation for punching due to concentrated loads and reactions from columns, piles or supports. The design for punching is carried out according to 4 different codes: ACI, DIN 1054, EC2 and ECP. For rigid and elastic rafts, it is convenient to determine the flexibility coefficient of interior node at the characteristic point of the loaded area on that node. While for flexible foundation, it is real to determine the flexibility coefficient of interior node at that node. - at the interior node on the loaded area. Earlier versions of ELPLA determine flexibility coefficients for both interior and exterior nodes by assuming uniform loaded areas on these nodes. This assumption uses the principle of superposition for determining the flexibility coefficients. Now it is possible to convert the loaded areas on exterior nodes to point loads, Figure B-3. By this way the program doesn't need to use the principle of superposition in the analysis, making it much faster than the old analysis. The new way of analysis is consequently faster and more efficient for problems that contain a large finite element mesh.